Comments are English words, can be used for code documentation. In Java we have two types of Data types. Non -primitive Data types in Java are objects and Arrays. We use Access modifiers to define Access control for classes, methods and variables. If we don’t use any modifier then it is treated as default, this can be accessible only within package. public access modifier is accessible everywhere. static modifiers are used to create class variable and class methods which can be accessed without instance of a class. abstract modifier is to create abstract classes and abstract methods. In Java we have 3 types of variables. A variable that is declared inside the class but outside the method. A variable that is declared inside the Method. i) Java variables are case sensitive, monkey is not the as MONKEY or Monkey. Embedded periods can’t be used. 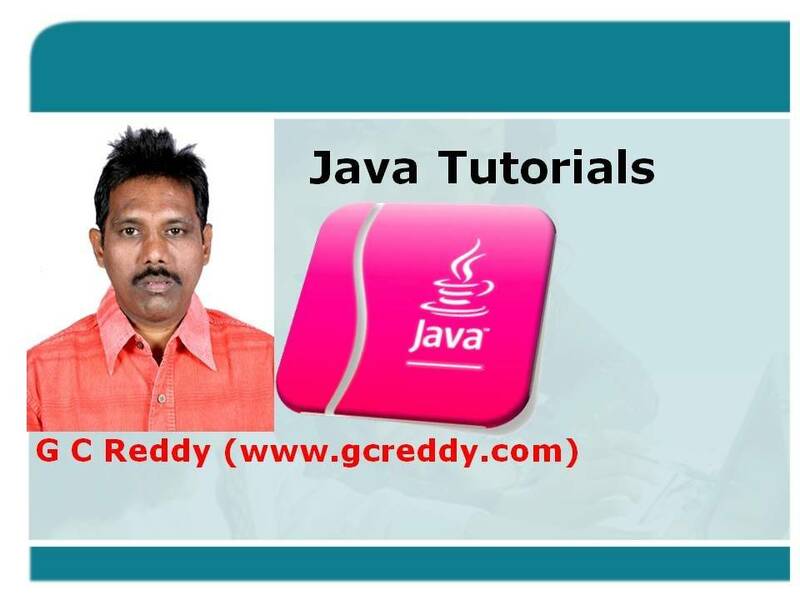 iii) Variable names cannot be equal to Java reserved words. // Declaration of multiple variable and Assigning values. Arithmetic Operators return value based Result. 1) Logical Not operator !